Welcome to Somerset – the bit you race through to get to the real south west. But, hang on a minute – try stopping here! There are countless gems of Churches in Somerset – all open for visitors and many with nice toilets. Many are in idyllic situations and make an ideal tour stop off points ; destinations for excursions within a holiday package or even a break from the M5 which has been purposely designed to make travel difficult! Whilst we have several hundred churches this article features just three locations – all will be of interest to the astute operator. Westonzoyland is a gem of a Somerset Village located just three miles from Bridgwater and fifteen minutes from junctions 23 or 24 of the M5. The village has a shop, a butcher (with excellent porkpies!) and a pub adjacent to the Church. The Church reopens on 1st July 2016 following a major restoration which includes the provision of toilets and a 50 seat café. Tell us when you are coming and we will bake the cakes, and unlike King Alfred in nearby Avalon, we won’t burn them! The fully accessible church is described by leading architectural critic Niklaus Pevsner as a “thrill”. 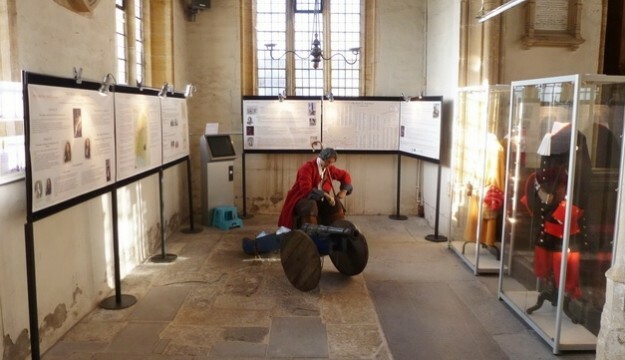 It has a stunning ceiling, medieval woodwork, an RAF memorial chapel and, as it was used as a prison at the Battle of Sedgemoor also has a small heritage centre. It is ideally located for Clarks Village, Street. Admission is free (charges for refreshments) and there is on street parking outside of the building. We have several historic Churches in Bath and could offer a self-guided or accompanied guided walk which encompasses up to ten of these – all within the central area of the city. We do ask that a donation be made to Somerset Churches Trust for the walking guides. 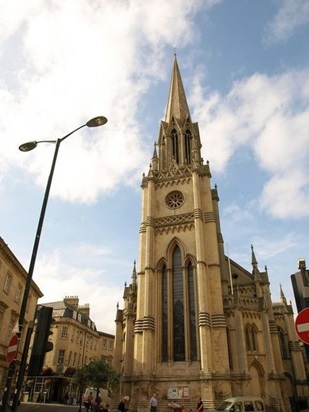 St Michael’s, near Pulteney Bridge, does not receive as many visitors as the world famous Bath Abbey, but does have a 40 cover café serving fair trade beverages and home produced cakes. All of the staff are friendly and welcoming with some being supported in their employment… truly coffee with a conscience which will boost your CSR image in customers’ eyes. Wells is known for the Cathedral. If you use the coach park your passengers will walk past St Cuthberts Church and probably call in. We get many comments that the Cathedral is “small”. They are in the wrong place! However, St Cuthbert’s is indeed well worth a visit. 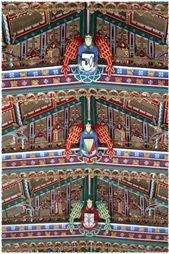 It has a stunning, brightly painted ceiling – maybe what churches used to look like before Puritanical, or maybe Victorian, thinking got in the way! These words just scratch the surface; the Diocese of Bath & Wells has in excess of 500 churches, waiting to be explored. We can help you to plan all stages of your visit, including suggesting tour itineraries and making contact with individual parishes for you.